Fort LeDuc was built by French-Canadian trappers in the mid-1830s above the junction of Mineral and Adobe Creeks along an old Indian trail in Colorado. It was located approximately nine miles south of the Arkansas River and present-day Florence. 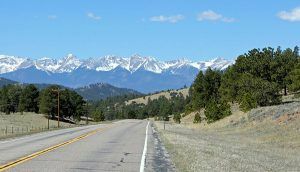 This area had long been a favorite spot for a number of Indian tribes including the Ute, Cheyenne, Sioux, Kiowa, and Arapaho tribes. The rough group of French trappers, led by Maurice LeDuc, were looking to trade with neighboring Indians, mountain men, and the few Mexican and Anglo settlers in the territory. The fort, named for Maurice LeDuc was also known by several other names including Buzzard’s Roost, Crow’s Nest, El Cuervo, Ft. LeDeux, and Maurice’s Fort. Because it offered a bird’s-eye view of the eastern plains, is the reason it earned the nicknames “Buzzard’s Roost” or “El Cuervo,” as the Mexicans called it. The fort was 144 feet wide, made of pickets, had bastions at the corners, and was almost circular in shape. There were wooden gates on the west side of the building that led to a 48-square-foot central plaza. Within the enclosure as an adobe building that provided eight rooms including living quarters. The fort protected settlers from often hostile Indians. Maurice LeDuc was a French Canadian who married a Ute woman had many Native American relatives and friends who traded at the post. It is believed that he may have obtained money to start the fort and trading post from the Charles and William Bent who owned Bent’s Fort on the Arkansas River. LeDuc was licensed to trade by the Mexican government, and one of his main commodities was liquor, called Taos Lightning, that he purchased in Taos, New Mexico. Maurice LeDuc, however, spent little time at the fort, as he preferred to pass his time hunting on the plains, drinking whiskey and pursuing romantic assignations in Taos, New Mexico. 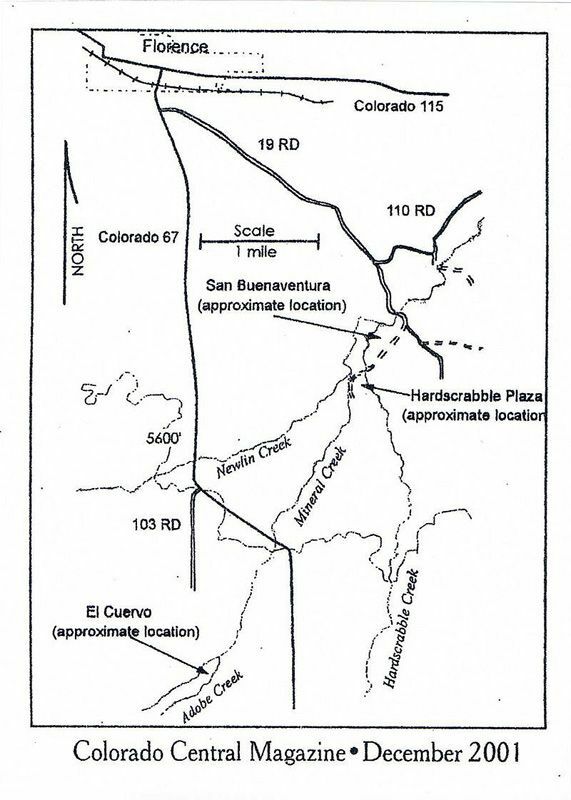 In about 1843, a Mexican town called San Buenaventura de los Tres Arrollos (later Hardscrabble) was established about five miles northeast of Fort LeDuc. 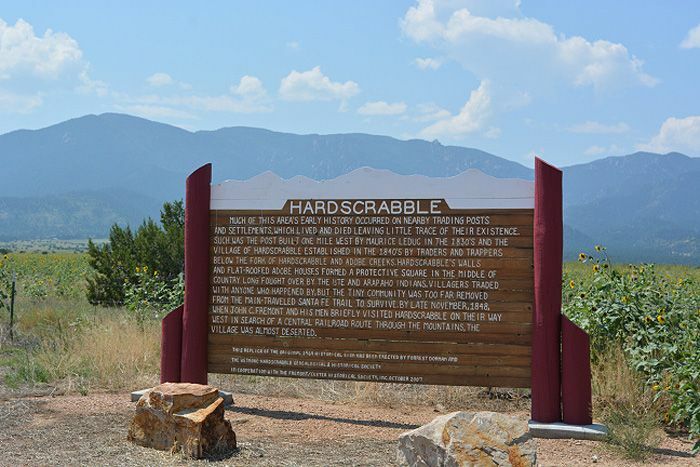 Maurice LeDuc and his wife were still living at the trading post when nearby Hardscrabble was founded. It remained in operation until 1854, at which time it was attacked and burned by Ute Indians. Today, nothing remains of the old trading post and the site is located on private property. A historical marker, located seven miles south of Florence, entitled “Hardscrabble” mentions the fort. 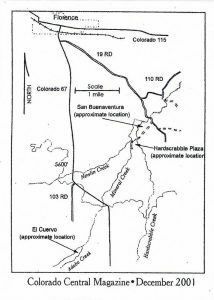 Gallagher, Jolie Anderson, Colorado Forts: Historic Outposts on the Wild Frontier, The History Press, 2013.